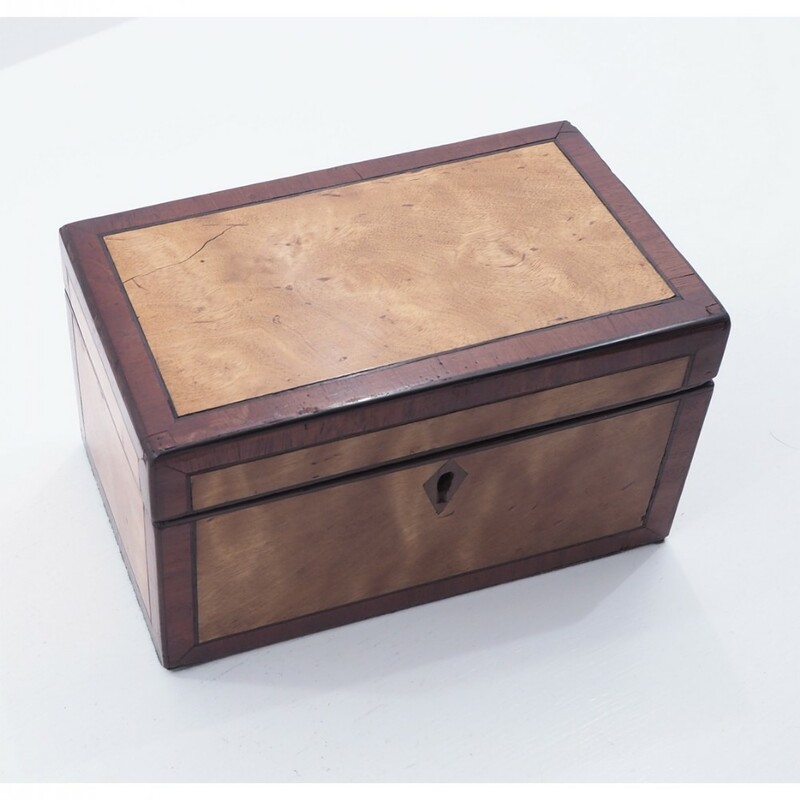 Late 18th century Georgian satinwood and walnut cross banded tea caddy. 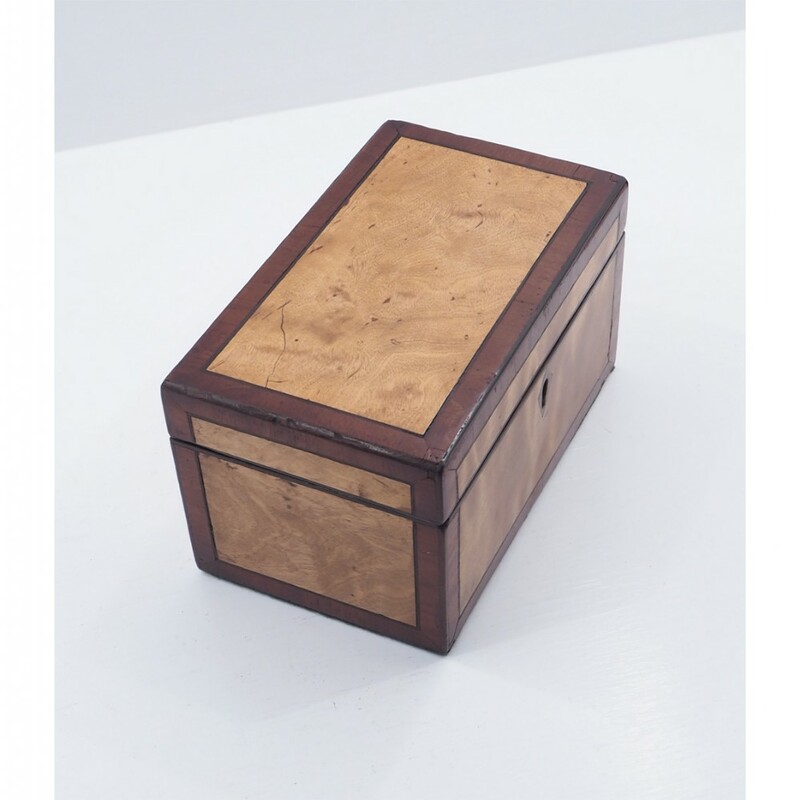 The tea caddy with matching ebony stringing and walnut cross banding to all sides except the back. 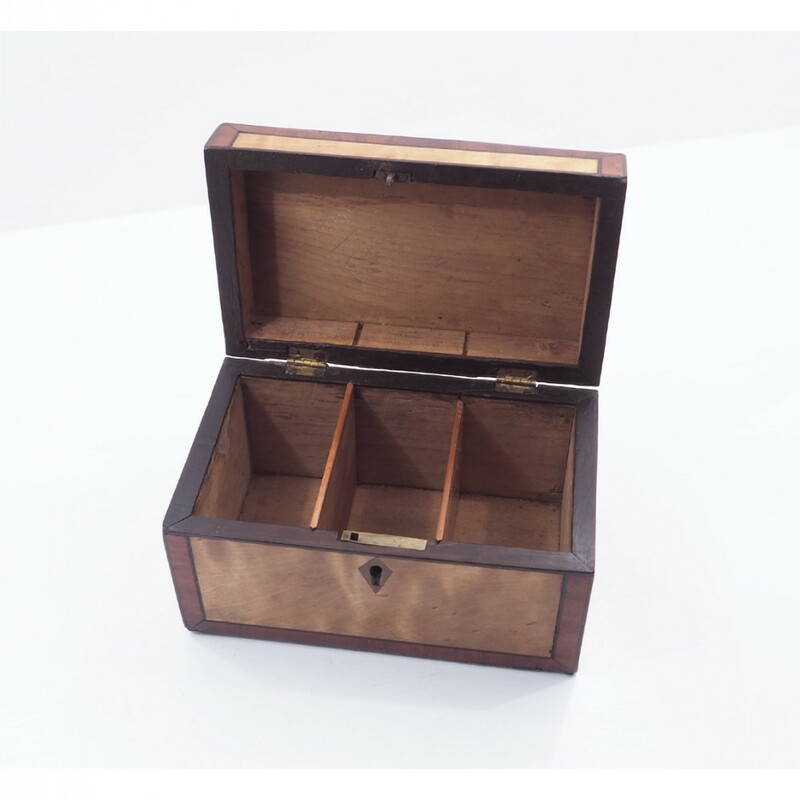 The caddy has two divisions inside with original brass lock. Green baize to the bottom. 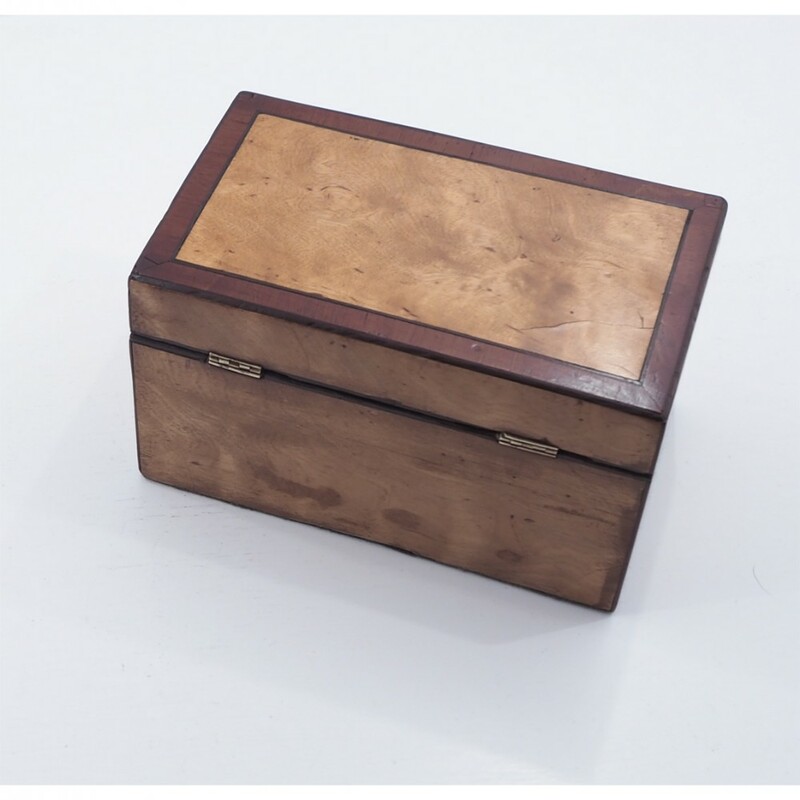 The caddy is a nice colour with waxed finish. Good for age. 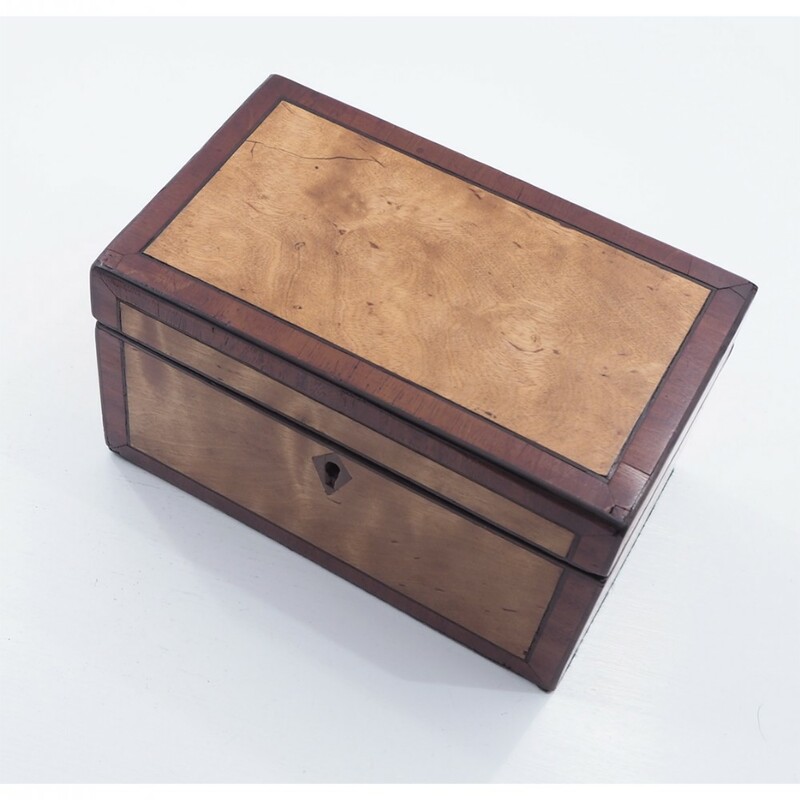 The GEORGIAN SATINWOOD & WALNUT TEA CADDY has been added to your saved items.